Winter Aconite – An Early Spring Flower! Finally, winter aconite flowers (Eranthis hyemalis) bloom again! At end of February, on a nice sunny day I discovered them in between a big cluster of snowdrop flowers (Galanthus nivalis). And about two to three weeks later, crocus flowers joined in. This plant species belongs to the buttercup flower family (Ranunculaceae). This plant grows in Europe; it is small but has a rather large yellow flower on top of a rosette of dark green leaves. 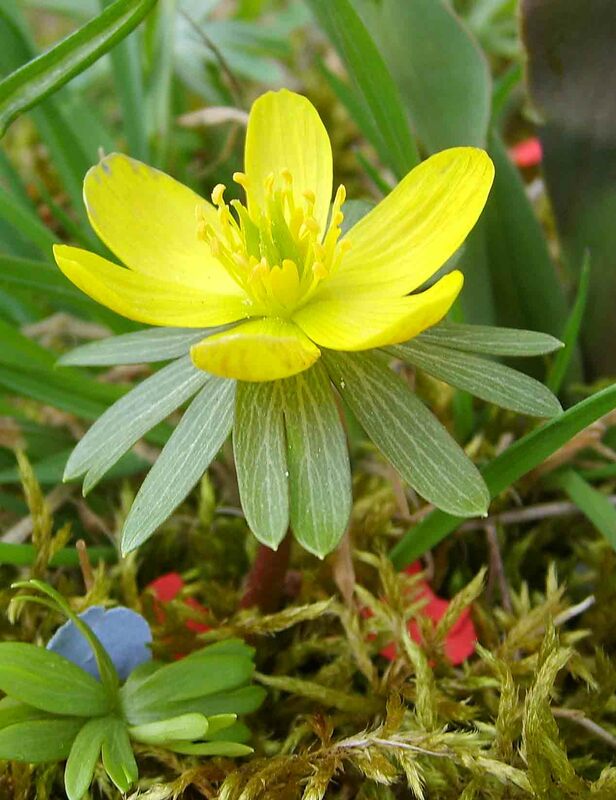 Do you think about planting aconites in your garden? Great! This will be a real add-on to your spring garden, just after the snow has melted away. They prefer to grow in light shade, moist and hummus rich soil. Place the plant tubers about 10cm deep in the soil. Then wait for the spring to come. 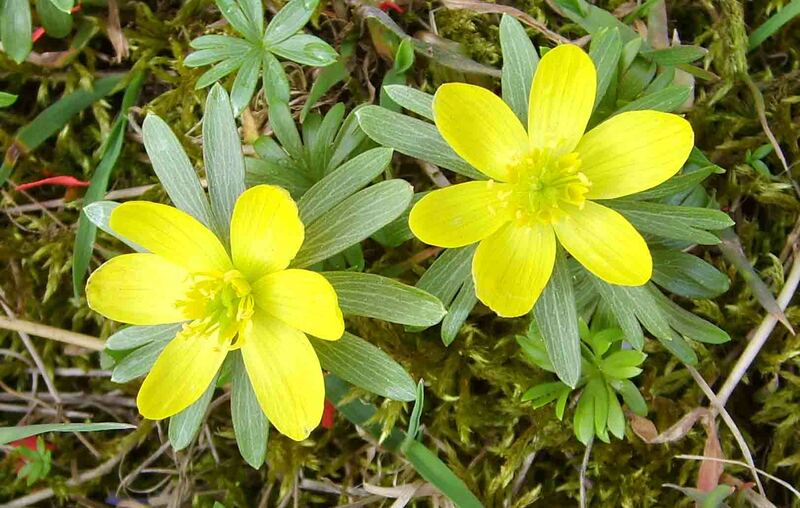 Furthermore, aconites can be grown from seedlings. Germination can take a long time (up to a year), so be patient! Keep the seeds at a temperature of 18 to 20°C. Once they have sprouted you can plant them in your garden in a shady place about 10 cm apart from each other! Tip: All parts of this plant are poisonous!